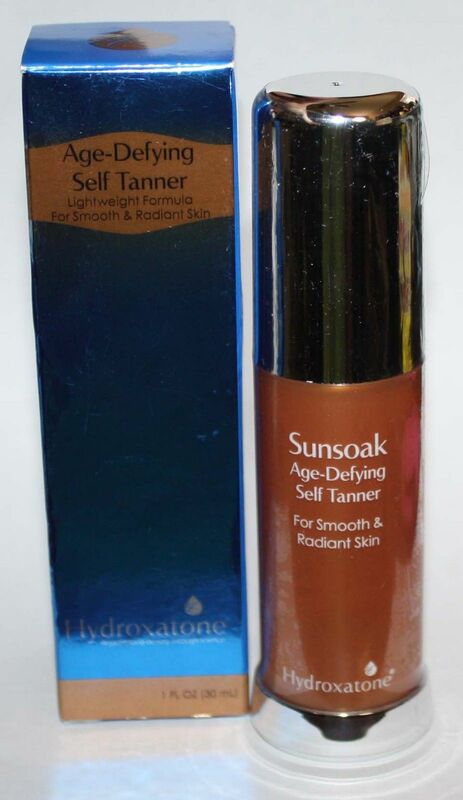 Hydroxatone Sunsoak Age-Defying Self Tanner is a lightweight, yet luxuriously silky formula that delivers an effortlessly gorgeous, sun-kissed glow while visibly reducing the appearance of fine lines and wrinkles. Enriched with Bronzia17 Complex for a perfectly radiant, gradual tan that defies your age! How to use: Once a day, apply evenly on cleansed skin. Blend well using circular motions, avoiding the hairline and eyebrows. Thoroughly wash hands after use. Can be used daily or as necessary to achieve and maintain desired color. Use with the complete line of Hydroxatone age-defying skincare.